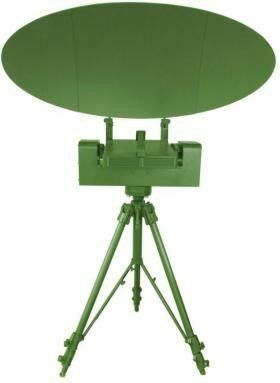 Short-range warning radar is ideal for monitoring and detect near-field mobile targets, such as human, crowd, cars, helicopters and various ships etc. It can be used for border surveillance and illegal intrusion monitoring in important and special circumstances such as prisons and airports. Also, as battlefield reconnaissance radar in battlefield. 8) An electronic chart can be attached on which alert area can be set to real-time display the target. 2) Innovative signal and data processing technology greatly improves the clutter suppression and moving target detection ability. 3) Latest carbon fiber material improves the antenna strength and reduces the weight. 4) All the circuit hardware are modular design, to improve the reliability and maintainability of the machine. 5) Creative structure for high reliability and light weight. 8) Fast erection within 5 minutes by two person.